The Kennel Club and United Spaniel Association and has no other connection with any other organisations. 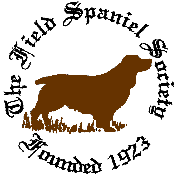 The Field Spaniel Society was founded in 1923 with a view to running Field Trials as much of the interest in the breed in those days was as a working dog. Unfortunately membership of the Society was low right up until the mid-seventies when renewed interest in the breed encouraged more new members to the point where we are now around 250 members. The Field Spaniel Society has the sole purpose of managing all the affairs of the Breed through various events. We organise seminars to educate both members and non-members alike on the Breed, working events, and stage one Championship Show and Open Show each year. We also prepare and publish a list of judges acceptable to the Society. The Health sub-committee was formed to monitor and educate on the well-being of the Field Spaniel. There are many ways of imparting information to our members. Each year the Society publish a Year Book, it was some time ago decided at an AGM to only have 1 Newsletter a year however, we are always monitoring this and listening to our members. We have breed notes in “Our Dogs” weekly paper, but one of the quickest ways by which we can keep the membership and all Field Spaniel owners updated with information is through the Society's web site. With the emergence of new technology we now have an informal Facebook Page - where Field Spaniel enthusiasts can post pictures and have informal chats. We try to also include any announcements on there as well as in the Dog Papers and the Web Site as well. We are mindful though that not everyone is on either Facebook or the Internet and mailings are still sent to all members, these are just additional ways of communicating. We hope you find the web site easy to navigate with all the information you require to learn about the breed, the club and its activities. 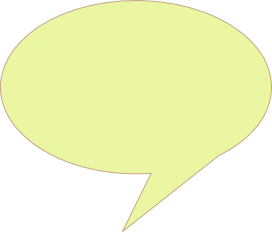 If you have any suggestions for improvement or topics you would like to see included, feel free to email the FSS Webmaster using the link at the left of the web page.